Certified Nursing Assistants (CNA) provides direct care to patients in hospitals or nursing home residents. They also care for patients in private homes and hospices. The CNA provides care under the supervision of a registered nurse or licensed practical nurse and ensures a safe and supportive environment for patients to recover. Some of the duties a nurse aide performs include bathing, dressing, and feeding patients, setting up medical equipment, answering call lights, making beds, positioning and turning patients, dressing wounds, measuring vital signs, and updating patient records. 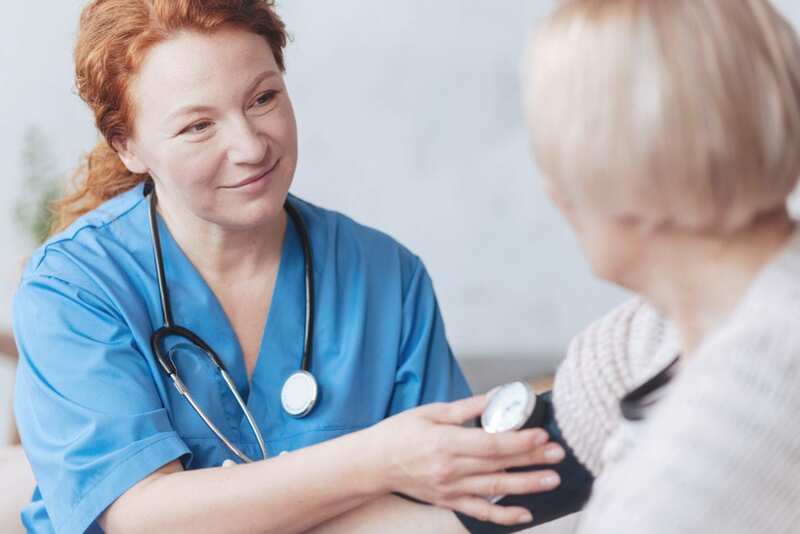 Due to their round-the-clock close contact with patients, a nursing assistant may be the primary liaison between the patient and nurse or physician. Nurse assistant training and evaluation is essential for practice in a long-term care setting. The training is also beneficial for acceptance into licensed practical or registered nursing programs. Experience as a CNA may fulfill the necessary practical hours required for entry into other healthcare programs. As the need for direct care professionals rise, CNAs will work on the front lines of patient care to meet the long-term health care needs of the aging baby boomer population. The training provides a fast-track to a career in the booming healthcare sector. The Nursing Assistant Certificate program at South Denver School of Nursing Arts prepares students for state certification. The program includes theory and practical learning opportunities in a skills lab and long-term care facility. Approved by the Colorado State Board of Nursing, the curriculum includes 104 hours of instruction, including 24 hours of clinical experience, according to the state guidelines. Experienced nurse instructors cover anatomy and physiology, basic nursing skills, infection control, range of motion, nutrition, fluid intake and output, personal care skills, positioning and transfers, and communication. During the clinical experience, students will provide direct patient care under the supervision of a licensed nurse preceptor. At the conclusion of the program, graduates will be eligible to sit the State Competency Exam. Career counseling is available for all students. Monday and evening schedules are available. The school admits new students every 4 weeks. The class size is limited to 10 students. The program’s tuition includes textbook, uniform, student ID badge, drug screen, background check, BLA and First Aid Certification, gait belt, and Stare Board exam fee. The Nurse Aide program at ACC includes Nurse Aide Theory, Practical Lab, and two clinical courses. The program’s schedule is designed for working adults who need to continue working while attending school. After complete the required 4 credits, students will receive a Nursing Assistant Certification and will be eligible to sit the State Competency Exam. Course topics include anatomy and physiology, basic nursing skills, infection control, range of motion, nutrition, fluid intake and output, personal care skills, positioning and transfers, and communication. Persons interested in enrolling in the program must register for each course separately. Current seasonal flu vaccine – if enrolling in the Fall or Spring semester. The approximate cost of the program is $900 for students eligible for College Opportunity Fund. In addition to the tuition, students are also responsible for purchasing uniforms, gait belt, nursing supplies, textbooks, and the costs associated with admissions. Ann Rose School of Nursing Arts prepares adults for a career as a Certified Nurse Aide. The program includes theory and practical instructor according to the state’s guidelines. The curriculum covers 76 hours of instruction in the classroom, skills lab, and long-term care facility. The duration of the part-time schedule is 15 days. A fast-track option is also available. It is designed to be completed in 8 days. The class size is limited to 12 students to offer in-depth and personalized instruction. At the conclusion of the program, students will have the convenience of on-site state testing. The morning class meets Monday through Friday from 9:00 am to 1:15 pm. The evening class meets from 5:00 pm to 9:15 pm. The duration for both schedules is 15 days. For the fast-track class, students must Monday through Friday from 8:30 am to 5:00 pm. This schedule also requires an additional two days for the clinical sessions – each day covers 8 hours of clinical activities. Tuition costs $1,200 and includes books and the cost of the background check. Students must cover the cost of the state exam, textbook, uniform, and supplies. A flexible payment plan is available. After completing the 5 credit hours of coursework in the Nurse Assistant program at Red Rocks Community College, students will receive a certificate that will give them eligibility to sit the State Competency Evaluation. Graduates will have the knowledge and skills to begin a career in the exciting field of healthcare. The program operates with the approval of the Colorado Board of Nursing. RCC offers flexible class schedules and job placement assistance for all graduates. The curriculum emphasizes those skills that are essential for performing the duties of a nurse aide. Some areas of study include personal care skills, communication skills, basic nursing skills, safety and emergency care, knowledge and principles of asepsis, ethical behaviors, HIPAA regulations, principles of mental health, and cultural sensitivity. During the clinical experience, students will apply the knowledge gained in the classroom. Use the contact information before for details on the current class schedule and tuition. The accelerated Nursing Assistant class at Centura Health runs for 5 weeks. The curriculum will cover the common concepts required for certification by the Colorado State Board of Nursing. Graduates will have the competency to work in acute and long-term care and the knowledge to continue their studies in preparation for other career pathways. The program meets the eligibility requirements for graduates to sit for the State Nurse Aide Certification Exam. The class size is limited to 10 students to provide an intimate learning environment and maximum hands-on learning for each student. Classes meet Monday through Thursday from 8:00 am to 4:30 pm. The program admits new students every five weeks. Tuition for the program is $890 and covers application fee, supply fees, workbook, and textbook.